Today’s lunch! 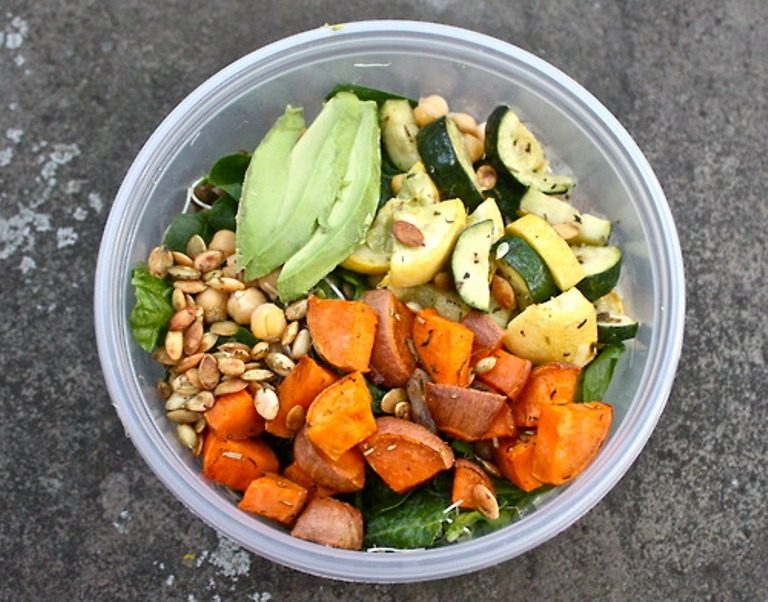 Kale, spinach, and sprouts, with lentils, chickpeas, roasted zucchini and yellow squash (olive oil, thyme, oregano, basil, salt and pepper), roasted sweet potato (olive oil, rosemary, thyme, garlic, shallots, salt and pepper) toasted pumpkin seeds, and avocado (!!) with lemon juice. Healthy fresh lunch! I’ll try it.